KidScience puts our youngest visitors front and center. Designed especially for children in Grades Pre-K through 2, little imaginations run wild as you visit the Island of the Elements and meet the Power Keepers of light, water, earth, and air. Find out how each element plays into the balance and order of nature. And discover what crazy things can happen when the balance is disrupted. Climb to the top of a lighthouse, take the helm of a sailing ship, and work to keep the giant waterwheel turning—discovering science along the way. 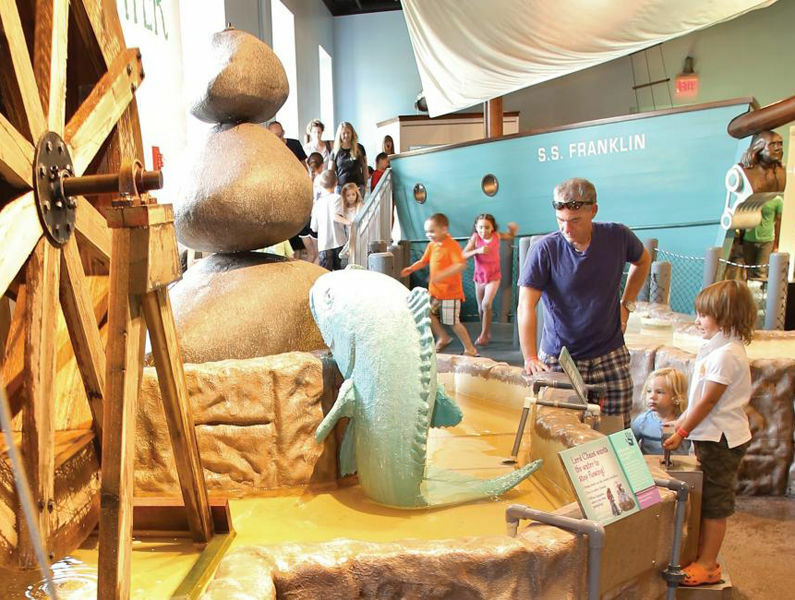 The stimulating activities in this exhibit will let your little ones explore scientific principles of sound, movement, geology, and reflection in fun an interesting ways. PLEASE NOTE: To preserve the unique experience of this exhibit, developed specifically for younger children, we cannot admit older children unless they are attending with younger siblings.